Broadband is now as important to us as electricity and water. And just like those essential utilities, moving broadband when moving home used to be a real pain but is now much easier. Broadband providers have awoken to the idea that you are a valued customer and that they are much better off being helpful rather than a hindrance. That said, there are some important things you need to know when moving home. The type of broadband available at your new address is more of a consideration than it ever used to be. Is your area cabled for Virgin Media? Does it have superfast fibre broadband? Always check to see what is available in the area. 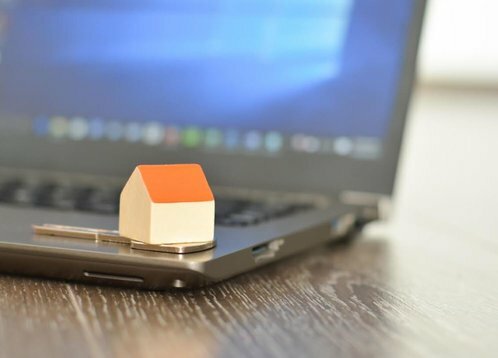 Broadband coverage is becoming more influential in people’s choice of property, so you may even want to take coverage into consideration as you’re searching for a new home. If you’re currently a Virgin Media customer you should check well in advance that your new address is also covered by the Virgin network. If you are a Virgin Media customer now and moving to a non-Virgin area there is no chance of keeping the same service, so you are going to have to cancel the contract with Virgin and sign up for a package with a new provider. Most home broadband contracts run for a minimum term and then from month to month unless you sign up to another deal. If your contract has run out, you can move provider any time you like for no extra cost as long as you give them appropriate notice (for most providers this is one month but always check with your ISP first). When moving home you have a choice. You can end the contract with one provider and begin another broadband contract with another provider at your new address. Or you can stick with the same provider and package. You can also start a new contract with the same provider on a better deal if there is one available. But if you are within the fixed term of your contract things can get a little trickier. If you intend to remain with your provider, you simply book a house move with that provider. However, if you plan to cancel or if your provider does not cover the area you’re moving to will have to pay early cancellation fees. These can be significant depending on what services you have and how far into your contract you are. Whether you are subject to charges or not depends on the broadband provider in question. Some will work with you and accept that you have no control over the move and waive the charges. This can be true towards the end of a contract. If the provider wants to levy the early cancellation fee, even when they do not provide services in your new area, they can do so. It is best to discuss your options with them as soon as possible. Should you switch providers when moving? There are pros and cons to switching broadband providers. On the plus side, you can negotiate or buy a better value contract with a new provider as you will qualify for new customer discounts. You may also be able to access a faster connection at your new home,.buy a bundle deal, get higher or no usage cap and generally shop around for the best deal possible at your new address. On the downside, you will need to cancel your old contract and take on a new one. You’ll have to go through the process of signing up to a new service and, if you not out of contract with your current ISP, pay a cancellation fee…You will also tie yourself into another contract term of another 18 or 24 months. Switching broadband providers when moving house is like any other aspect of home management. Do your research, shop around and make informed choices. If you’re moving into a rented home you may have other challenges to overcome. Many short-term tenancies are for 6 or 12 months while most broadband contracts are for 18 or 24 months, however, there are short-term broadband deals with rolling monthly contracts. And if the rented property doesn’t have a phone line you will need to get permission from the landlord before any installation work is carried out. In some cases, your new home may have broadband included. This could be good value if it’s included in the rent, but you should confirm with the landlord or letting agent about the features of the services (such as speed and data usage allowance) to ensure it suits your needs. For more information, use Broadband Genie’s guide to broadband and moving home.